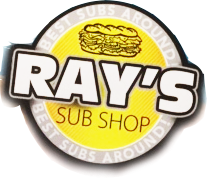 If you're looking for a unique sub sandwich experience in The Garden State, come and pay Ray's Sub Shop a visit in Ewing, NJ! We are here to satisfy your sub sandwich desires and to exceed your expectations! Try the chicken Cutlet COMBO meal! One of our customers' favorites! I went to Rays a couple of days ago and as usual it was buisy , the great thing about waiting a few minutes will be the reward of eating a good meal, well worth coming to that place. Staff is very friendly and helpfull. Even though I feel that they are short staffed they do their best to serve the customers as much as they can. The Belly buster is amazing and the cheese steaks still the best! It's been a while since I've been back, but again I left with a smile.